PERFECT SETTING AND BEAUTIFUL HOME! 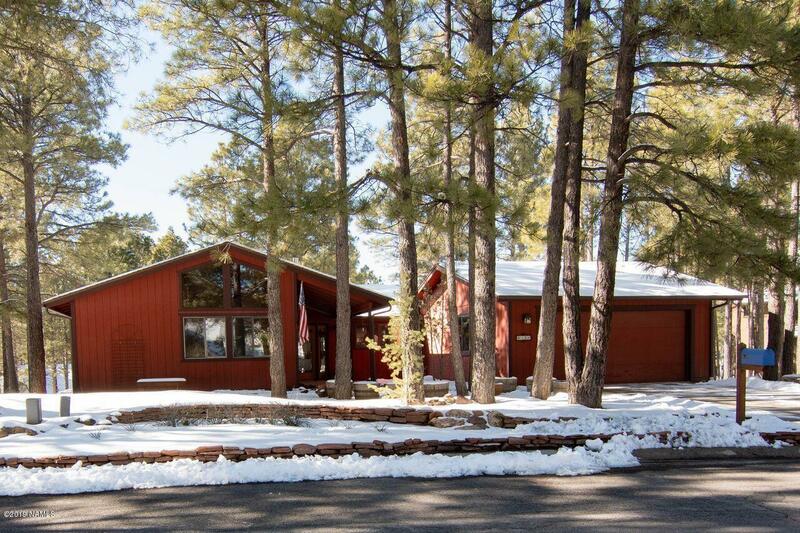 This 3 bedroom/2Bath, single level home features a gorgeous remodeled kitchen, T & G cathedral ceilings in the main living areas and a oversized back deck that overlooks Ponderosa Pines. The kitchen includes stainless appliance package, copper sink, copper back splash, 2- side island that opens to the family room, updated luxury gas fireplace and 2nd living room and dining gives you that flexible space for entertaining. The master is over-sized with access to the back deck. This home has been truly loved and cared for, ready to go for your full time needs or 2nd home.